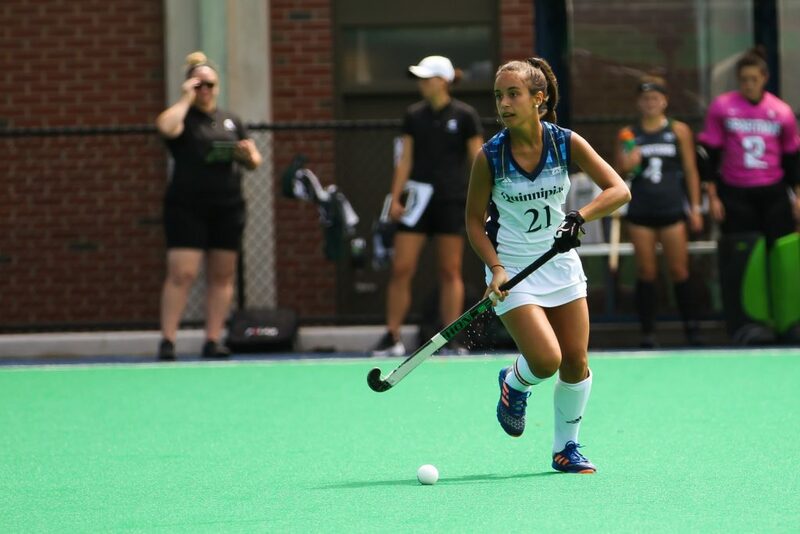 The Quinnipiac Bobcats (2-4, 0-1 Big East) field hockey team will be facing off against the Brown Bears (2-4, 0-0 Ivy League) on Sunday in Hamden, Connecticut. The Bobcats are coming off an 8-0 loss to UConn, the second ranked team in the nation, this past Saturday. Last Saturday in Hamden, the Bobcats played well, but came up short to No. 19 Maine, 3-2. The Bobcats are still looking for their first home win of the season. Brown is coming off a 1-0 win to New Hampshire on Friday. They are still winless on the road this season. Last weekend the Bears traveled to Virginia for the first time. They lost to William and Mary 4-3 in double overtime, and Richmond 4-2. Once again, forward/midfielder Valerie Perkins is the player to watch. In the 8-0 loss to UConn, she led the Bobcats with the most shots on goal. Expect that trend to continue Sunday against Brown. The Bobcats are going to be looking for goals against Brown after failing to score against UConn. Perkins should lead the Quinnipiac again with shots on goal which will work in the Bobcats favor as they try to get their first home win of the season. Brown is not a strong offensive team. However, they aren’t terrible. The most they have scored in a single game is three. Hannah Teicher has been very good in goal this season. Despite the 8-0 to UConn, she had eight saves which is her career high. Prior to the UConn game, Hannah Teicher has started four games between the pipes and has a 2.02 GAA and a 0.704 save percentage. She will be eager to get back on track after a poor game on Saturday. Just like Quinnipiac, Brown is going to have to rely on Kelsey Rudert to keep Quinnipiac from scoring. Much like Brown, the Bobcats are not a strong offensive team. Kelsey Rudert has started all five games in goal and has a 3.03 GAA and a 0.611 save percentage. She had a career high 11 saves and a shutout on Friday against New Hampshire, as Brown won 1-0. She hasn’t let up more than four goals this season, which came in the double overtime loss to William and Mary.